We want to help make the process of understanding, specifying and purchasing your new windows, doors or conservatory as painless as possible. We do this by explaining what our products do in easy to understand terms and work in conjunction with our PlatinumNRG installation partners to help make the experience fun, and to offer you ‘Peace of Mind’. You may well come across a number of terms during the process – these will be explained to you by your PlatinumNRG partner. To help you along the way we have explained some of these terms and outlined how they may help you. 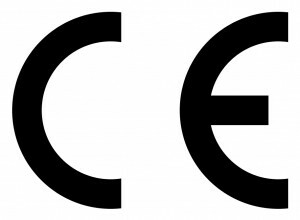 Please view our accreditation section for further details on our certifications. Window Energy Ratings Certification. 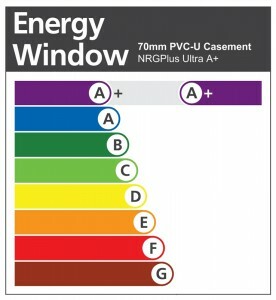 BFRC (British Fenestration Ratings Council), the Window Energy Ratings Certification scheme, allows manufacturers to apply to use the energy rating label (pictured right) on their products. The British Fenestration Ratings Council (BFRC) has devised a Window Ratings equation based on values for these components. The rating is expressed as a number and is converted into a grade between A and G (with A being the most energy efficient).